A stylish welcome is our Philosophy. 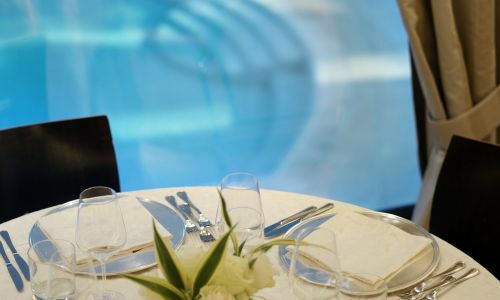 At Hotel Sporting Rimini, our team’s attention and courtesy, combined with the refined environment is a benchmark for Guests willing to receive a top notch custom service. 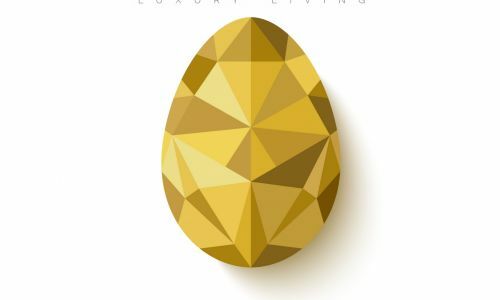 Luxury is time. time for ourselves, for our loved ones, to live our life. A stay at Hotel Sporting Rimini will make you relax and take back the control of time. High level design and an environment painted by light is the frame of an offer of hospitality second to none, perfect for kids and grown-ups. 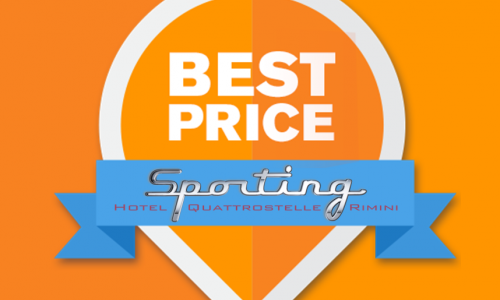 Discover how much value your time may have, welcome to Rimini, welcome to Hotel Sporting. A new light environment with an embracing beauty, refined finishings where nothing is left to chance. The new Hotel Sporting gives you the luxury of time. Book your hotel in Rimini directly from the website, you will find the best price! For your Easter holiday choose Rimini and Hotel Sporting: imagine spring at the beach in Italy, with every 4-star comfort and service! Full Board package for your summer holidays in Rimini, in your 4 star hotel on the beach! Your Rimini Holidays with half board package in 4 star hotel on the beach, Hotel Sporting! Our entire Staff are ready to meet you with a genuine welcoming smile, while we try to achieve ensuring that your stay at Hotel Sporting in Rimini will be a precious token to be long kept in your memories. Hospitality is our main Keyword; Style is the way we live it. Making you feel at home far from home is not just a job, but rather a true mindset. 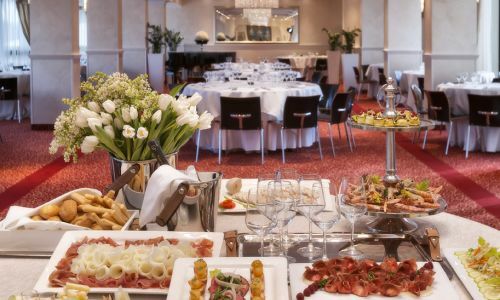 At Hotel Sporting you may enjoy Marina Centro, the most glamour and lively city district, whatever the reason bringing you to Rimini: attending an Expo at Rimini Fiera, a meeting at the Palacongressi or simply for a relaxing holiday on the sandy shores, cuddled and supported throughout your stay.
" Room was compact and met expectations and the location was nice. Beach is near and surroundings is full of restaurants and shops. Good wifi. But more than anything the staff is amazing! Great value. Would happily return. "" An evocative and unforgettable view over the Adriatic Riviera, it will seem possible to touch the sea with a finger. Rooms located on the first and second floor of the sea side hotel. Private balcony, hydro massage shower, TV LCD 32' with SKY channels and free WI FI. This comfortable and spacious room composed of two communicating rooms ideal solution for large families or for those who want more privacy. This solution allows to host the whole family in complete comfort: 2 bathrooms with hydro shower, two closets, 2 LCD TV (32"and 23") and 2 private balconies, free WI FI. You will finally be able to enjoy your well deserved relax. This room is the ideal solution in order to enjoy an unforgettable view on all the coast, with every 4-star comfort by Hotel Sporting. Panoramic rooms are located between 4th and 7th floor. Rooms have private balcony, hydro-massage shower, free Wi-Fi connection and Sky TV channels. At Hotel Sporting being a kid is magic! 3) Non-anonymous third party analytical cookies. Processing functional data to carry out these obligations is necessary in order to correctly browse the website. Providing data is necessary and mandatory to implement the purposes stated above. Non-acquisition of said data will mean it is impossible to guarantee browsing of the website. This cookies can track user's activity on-line and profiling him according to his/her preferences, choices, habits, ecc. With these cookies, publicitary messages may be transmitted to the user's screen, according to the same user's preferences during the online activity. These cookies can exchange information and track the browsing by the user who is registered with one of the services present. Deactivation modes are stated below. It is also possible to deactivate them from each link. Deactivating profiling cookies: to deactivate third party profiling cookies you can click on the links inside the following table. In the event that you have any doubts or concerns about using cookies you can always intervene to prevent them being set and read, for example by changing your privacy settings on your browser to block certain types. This policy involves only the website of Hotel Sporting and not other websites the user may consult by clicking on links. The policy is also based on Recommendation n. 2/2001 implemented on May 17th 2001 by European authorities for the protection of personal data, reunited in the Group instituted by art. 29 of Directive n. 95/46/EC, for the purpose of identifying a series of minimum requirements for the online collection of personal data and, in particular, the methods, time frames and nature of information the owners of the treatment must provide users who connect to websites, regardless of the purposes of the connection, as well as on further updates following the implementation of the GDPR and the delegation decree connected to the GDPR. The personal data indicated in this page are treated by Sporting sas di Maximilian's Hotels & Residences, for the purpose of performing its activities. The juridical foundations for treatment on the website are consent, execution of a contract and pursuit of a legal obligation. The optional, explicit and voluntary sending of messages to the contact address of Sporting sas di Maximilian's Hotels & Residences, as well as the compilation and forwarding of modules on the website Hotel Sporting, involve the acquisition of the sender’s contact data, necessary for sending a response, and of all the personal data included in these communications. Specific information notes will be published on the website Hotel Sporting for the supply of certain services. The optional, explicit and voluntary sending of data inserted in the data collection modules (forms), or in e-mails to the electronic mail addresses supplied on this website entails the acquisition of the sender’s address, necessary to respond to requests, as well as of eventual further personal data contained in the messages sent. We specify that personal and/or corporate data inserted in the forms on the website Hotel Sporting is protected by Sporting sas di Maximilian's Hotels & Residences and used only to answer user queries and to provide requested information and services. With the exception of the information listed above concerning data treatment, the user is free to provide Sporting sas di Maximilian's Hotels & Residences with personal data via the info request modules. In any case, whenever such data is requested, a specific disclosure note will be supplied and, if necessary, the user’s consent will asked to indicate his/her consent. The recipients of the data collected due to consultation of the site listed above are subjects designated by Sporting sas di Maximilian's Hotels & Residences as subjects responsible for the treatment, pursuant to article 28 of the Regulation. The personal data collected is furthermore treated by staff of Sporting sas di Maximilian's Hotels & Residences on the basis of specific instructions related to purposes and methods of the treatment in question.